It’s not a pop-out! It’s a pop-up! 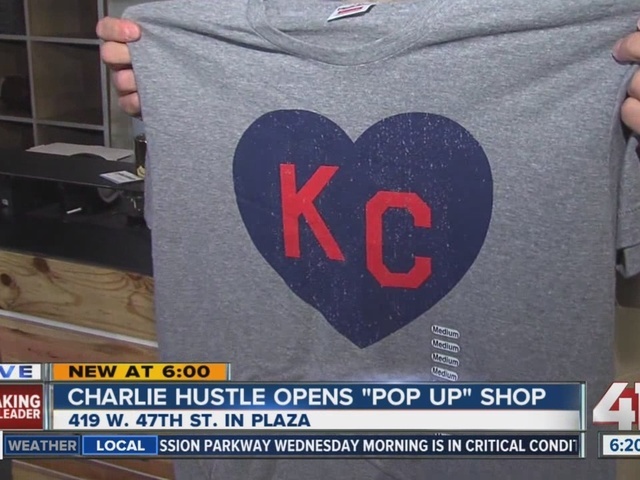 Charlie Hustle is hustling on to the Plaza starting Friday morning at 10, just in time for the Plaza Art Fair. The local entrepreneurs behind the nationally known brand will be on 47th Street, across from Barnes and Noble, until about April. For founding father and CEO, Chase McAnulty, walking into this store - which they set up in less than a week - is like visiting his boyhood bedroom. Sports memorabilia, like Danny Manning’s shoes and Len Dawson’s jersey, is displayed next to good stuff for sale. You can find vintage shirts hearkening back to the Royals World Series win, basketball jerseys right behind the NBA Jam arcade game and brand new styles for women and kids. 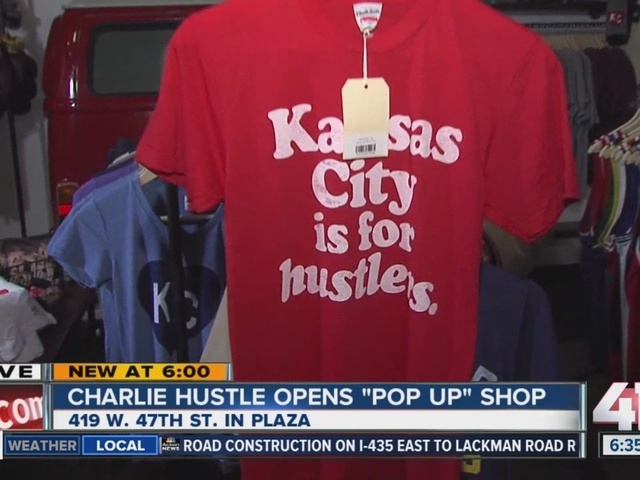 For McAnulty and his team, this business is an ongoing love letter to Kansas City, with the pop-up shop being the latest page. Charlie Hustle on the Plaza is all about looking back and, especially, forward using new styles to create new memories. Joel Nichols can be reached at joel.nichols@kclive.tv .